Today’s guest is fantasy, science fiction, and horror author A. C. Wise! She’s written numerous short stories, some of which have appeared in a variety of “Best of the Year” collections. 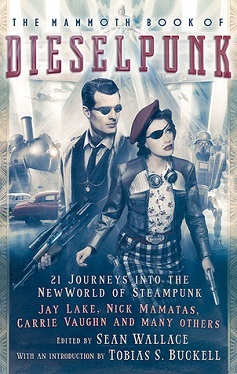 Her story “The Double Bind” will be included in the upcoming anthology The Mammoth Book of Dieselpunk, and her first short fiction collection, The Ultra Fabulous Glitter Squadron Saves the World Again, will be released later this year. She also writes the wonderful monthly column Women to Read: Where to Start on SF Signal. Women write speculative fiction. It shouldn’t be news to anyone anymore; yet on a slow news day, or any day, really, the topic is still dragged into the spotlight and women are once again asked to prove themselves. 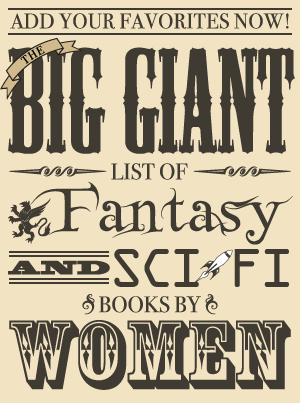 Lists are trotted out, and they are fantastic lists, but frequently they feature the same few names over and over again – Ursula K. Le Guin, Alice Sheldon/James Tiptree, Jr., Mary Shelley, Shirley Jackson, and so on. Of course they are all worthy of your time and attention, but they’re well-established names, too. They should already be in your canon. There are so many exciting works being written today, it’s time to update our lists. More and more often, when asked to name authors who inspire me, I turn to contemporary authors publishing works today. In that spirit, I want to focus on a few debut authors whose first novels were released within the past few years, or will be released this year. Silvia Moreno-Garcia’s debut novel Signal to Noise was released by Solaris in February 2015. Her short fiction made me a fan, so I couldn’t wait to pick up a copy of her first novel, focused on magic and music in Mexico City in the 1980s. At novel length, Silvia Moreno-Garcia kicks the power and emotional relationships found in her short fiction up a notch. 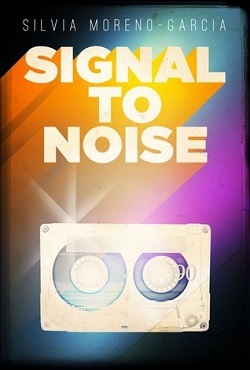 Signal to Noise is fearless and brilliant in that it rests almost entirely on the charm of an “unlikeable” character – surly, prickly, sometimes emotionally distant – but one you can’t help but root for and want to follow on her journey. The magic spells cast through vinyl records serve as delicious frosting to the rich cake at this novel’s heart – the humanity of its characters. 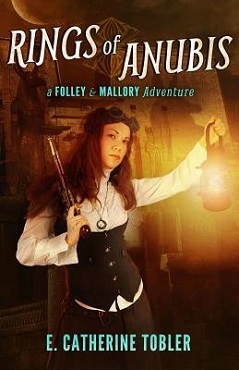 E. Catherine Tobler’s Rings of Anubis debuted as a collected paperback in 2014 from Masque Books, after originally being released as a two-volume e-book series in 2013. If you’re a fan of pulpy adventure in the vein of Indiana Jones and The Mummy, this is the book for you. Egypt, archeology, steampunk – you name it, it’s here. The whole novel is soaked in the same level of rich, sensory detail permeating Tobler’s short stories. As a reader, you live alongside Folley and Mallory, the main characters, as they journey through Egypt and Paris, feeling the grit of desert sand and tasting the food. At the same time, it’s a highly visual work, giving the reader a sense of watching a movie based on the text even as they read. 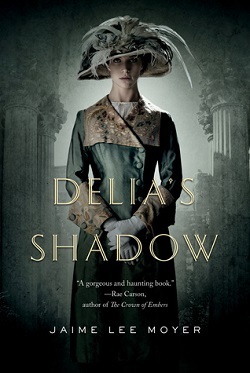 Jaime Lee Moyer’s debut novel, Delia’s Shadow, released in 2013 from Tor, kicked off a trilogy with the third book due out later this year. The novels are set in San Francisco in the early 1900s, and like E. Catherine Tobler’s Rings of Anubis, they transport the reader to a particular time and place. Delia’s Shadow is set during the San Francisco International Exposition of 1915, and the author’s research makes every detail come alive. The novel also focuses on female friendship, a thread that continues throughout the series, which is something not seen often enough in either print or visual media, even today. The author gives us a world of strong characters, historical details, and throws ghosts into the mix – what’s not to love? 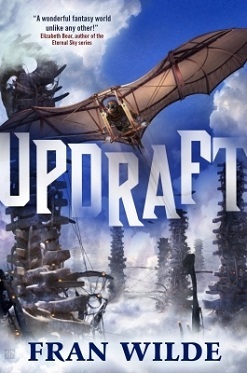 Fran Wilde’s debut novel, Updraft, will be published by Tor in September 2015. A city made of bone grows above the clouds, and the citizens of this world soar from tier to tier on wings engineered from silk. The novel blurs the line between YA and Adult fiction, proving that the divide is largely arbitrary to begin with, as there’s something here to appeal to everyone. The worldbuilding the author engages in here is incredible – detailed, rich, and deep. There’s intrigue and danger, and stakes high enough to shake the entire foundation of the world the characters are living in. Updraft is another highly-visual world, just begging to be made into a movie. These are just a few of the incredible authors who have recently (or will shortly) make their novel debuts. All of these authors started their careers as short fiction writers, and are stretching into new dimensions now with longer works. Everything they’ve published – both short and long – is worth your time to read. And given that these works are all debut novels, we can expect great things from them in the future. This is the next generation of inspirational women writing speculative fiction. You will see their names on future lists. Hopefully, one day, those lists will not be the ones trotted out as women are forced to prove themselves and justify their place in the genre. Hopefully these women will be future canon for must-read lists that have nothing to do with gender, or even genre. We will read them and praise them because their work is worthy of praise. Period. They have nothing to prove. A.C. 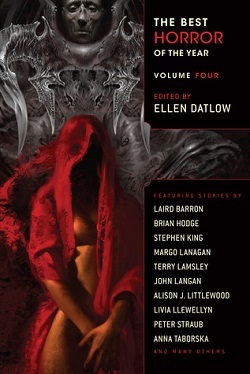 Wise is the author of numerous short stories appearing in places like Clarkesworld, Apex, the Year’s Best Dark Fantasy and Horror, and Year’s Best Weird Fiction. Her first collection will be published by Lethe Press in 2015. In addition to her fiction, she co-edits Unlikely Story, and contributes a monthly Women to Read: Where to Start column to SF Signal. You can find her online at www.acwise.net and on twitter as @ac_wise.